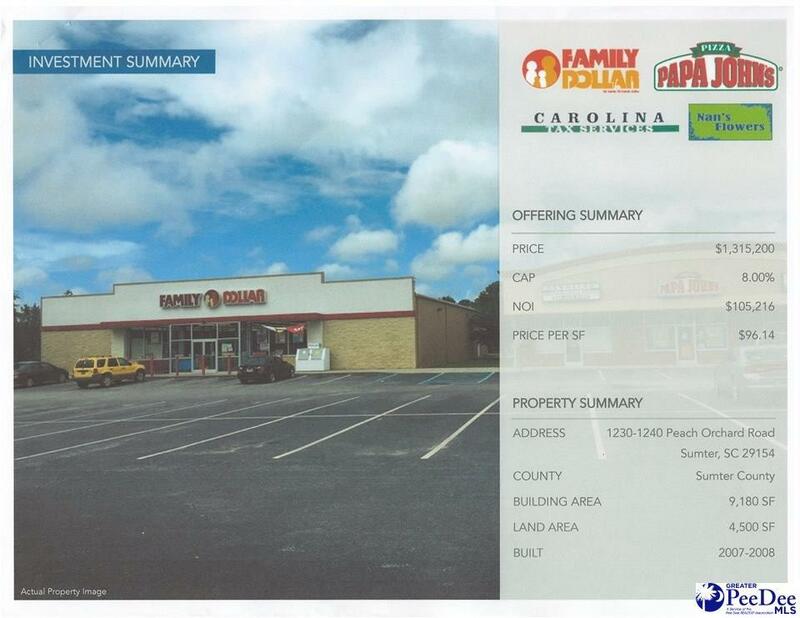 Absolute NNN lease investment Opportunity. Free standing Family Dollar with Triplex near Shaw Air Force Base and base housing. 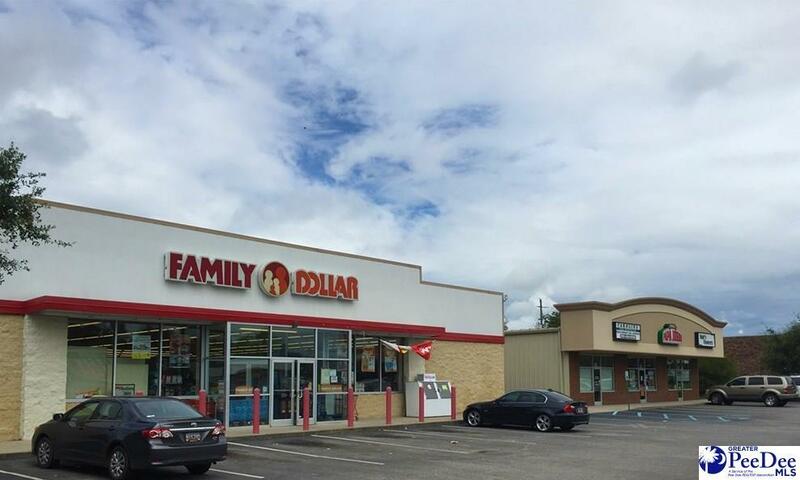 Family Dollar recently executed an early extension showing commitment to Location. Triplex includes a Papa John's, Nan's Flowers and Tax service office space. 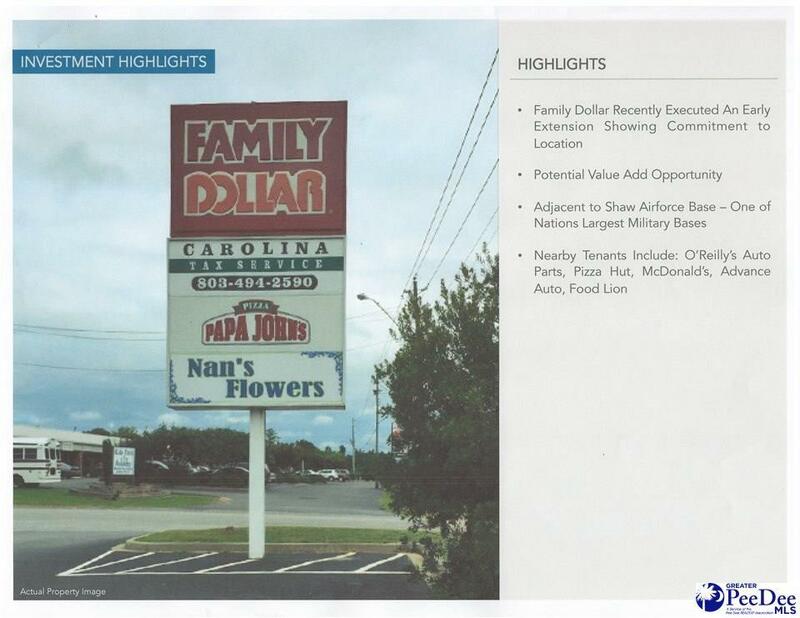 Nearby tenants include: New O'Reilly's Auto Parts, Pizza Hut, McDonald's, Advance Auto and Food Lion. 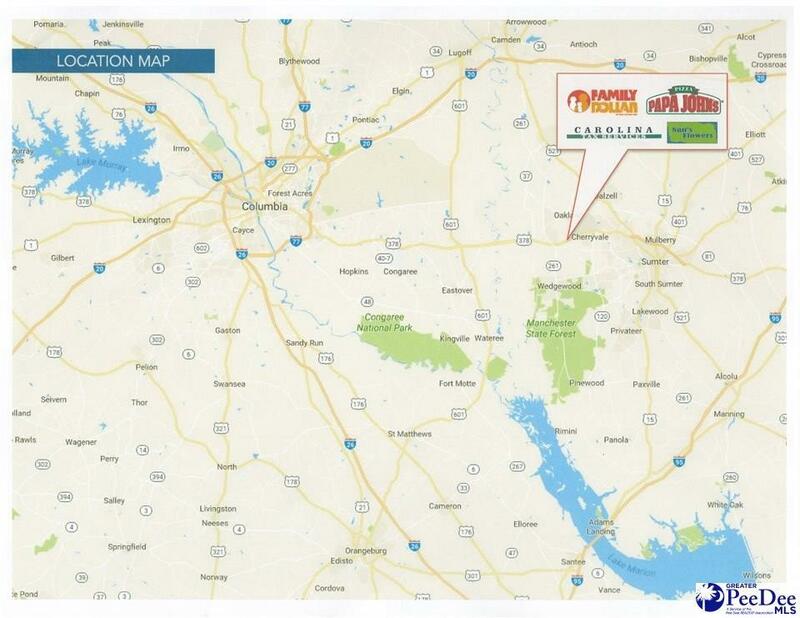 Listing provided courtesy of Philip Baugh of Griggs-Floyd & Grantham Inc R E Services (13). © 2019 The Realtor Association of the Greater Pee Dee.